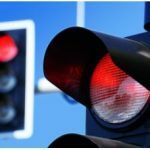 Q: When is it OK to turn right on a red arrow? Does it matter if there’s more than one lane turning? And is it ever OK for a left turn? A: Under Washington law, you can turn right on a solid red arrow (the same as a solid red light) provided you come to a full stop, traffic is clear, and it’s safe to do so, unless there’s a sign posted that prohibits it. That’s true even in situations where there are two lanes turning right. It’s also OK to turn left on a red arrow when you’re turning onto a one-way street. Turns on red require an extra​ dose of caution. You’ll want to double check for bicyclists and pedestrians who may not be expecting your turn. And if you encounter a (fairly rare) flashing red arrow? Treat it the same as you would a stop sign. Information shared here is for educational purposes only and is not legal advice. If you have legal concerns, contact a law enforcement source or attorney. What is the purpose of leaving this at the bottom of your answer? Your answer is not useful at all. That is something Pemco Insurance put at the bottom of its Road Rules article. I kept it in, just to avoid any liability issues. I’m not sure why you think the answer isn’t useful just because it isn’t officially legal advice. But you can check the RCW to verify by clicking on the link in the word Washington (in the phrasse Under Washington Law) in the post.